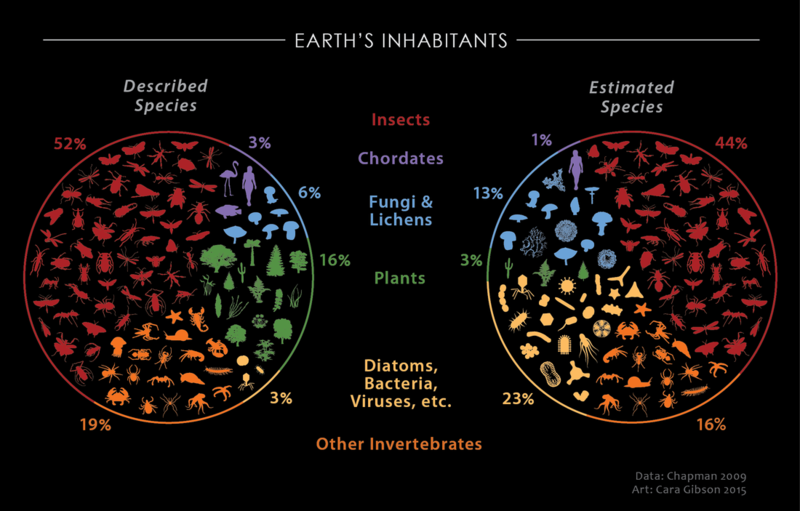 Earth's relative biodiversity. Illustrator. 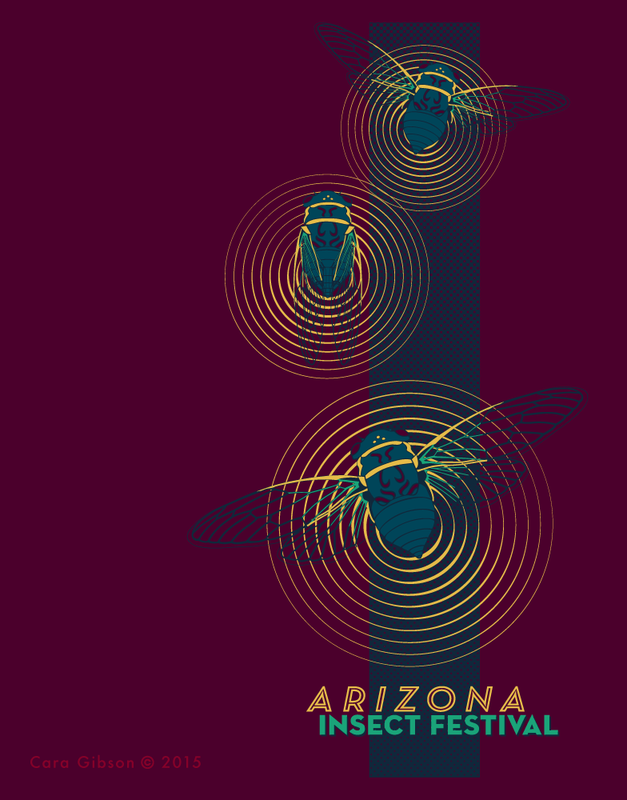 Top 10, National Science Foundation’s Visualization Challenge - The Vizzies. 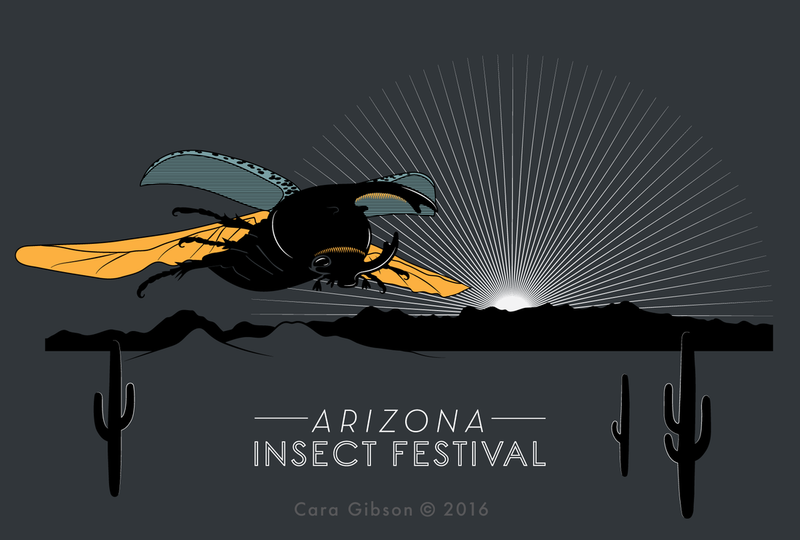 2016 AZ Insect Festival T-shirt. Illustrator. 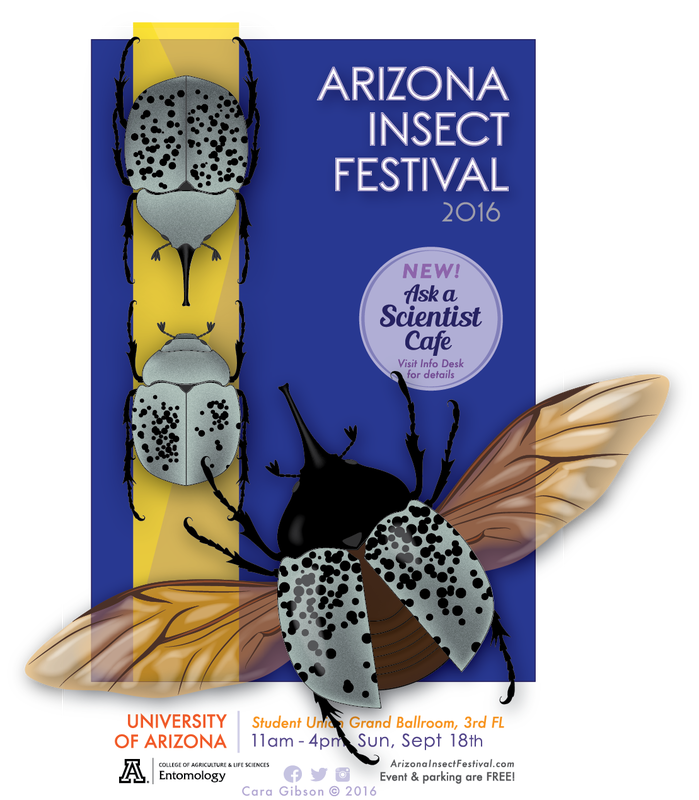 2016 AZ Insect Festival poster. Illustrator. 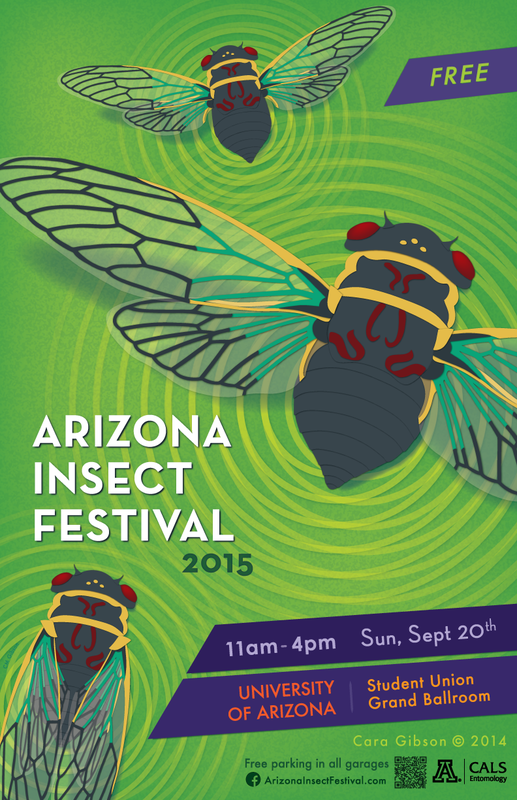 2015 Arizona Insect Festival poster. Illustrator. 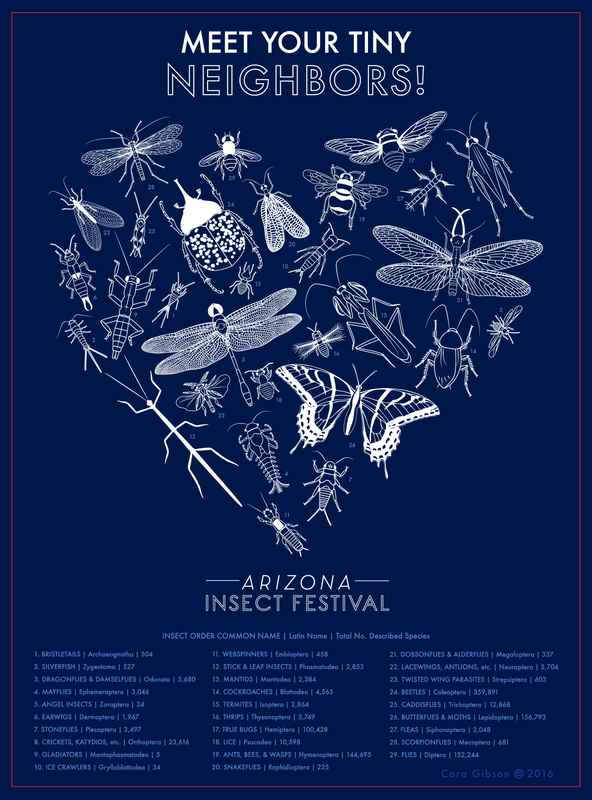 2015 Arizona Insect Festival T-shirt. Illustrator. 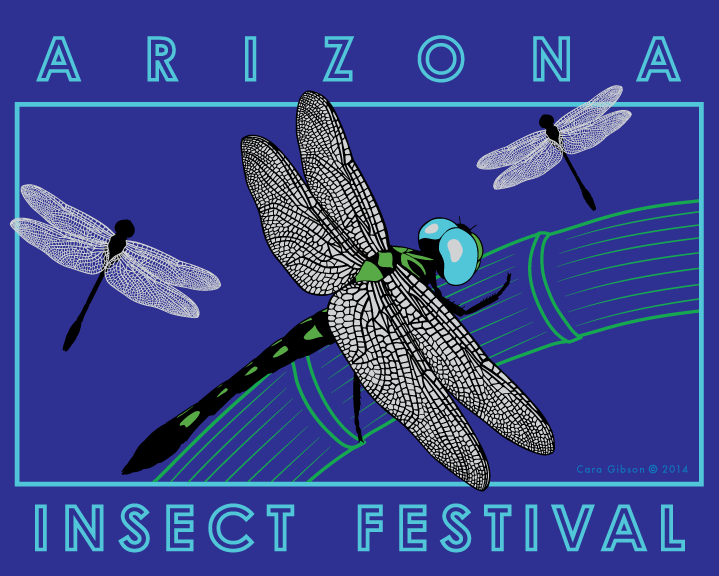 2014 Arizona Insect Festival T-shirt. Illustrator. 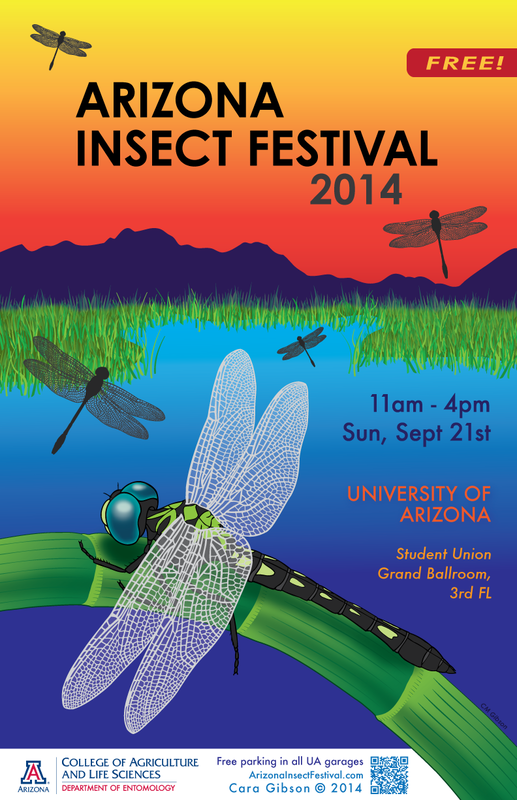 2014 Arizona Insect Festival poster. Illustrator. 2016 Insect Diversity Educational Poster. Illustrator. 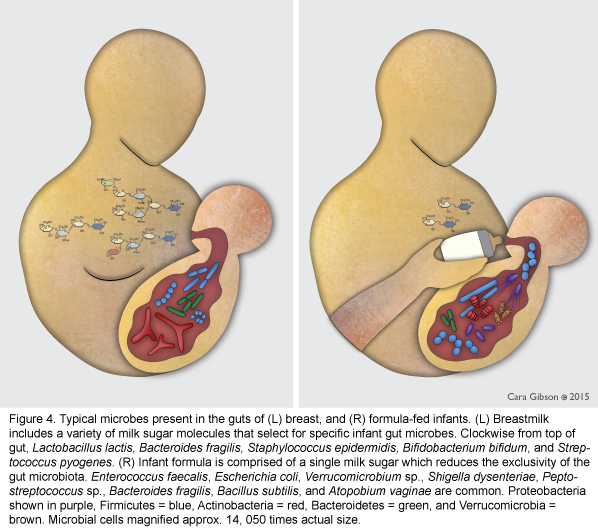 Illustration for Mostly Microbes blog. Photoshop & Illustrator. 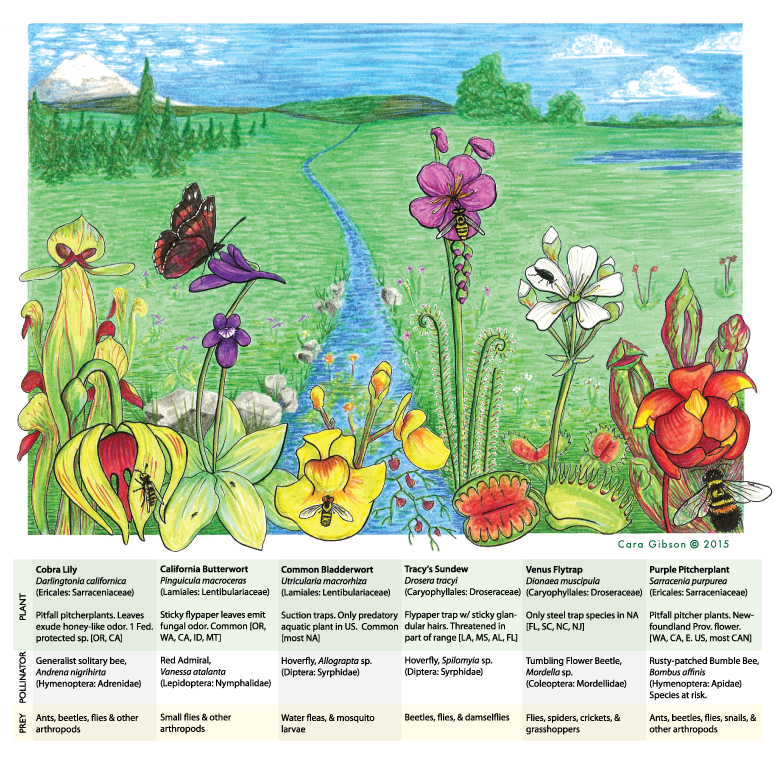 Six carnivorous plants and their pollinators. Graphite & marker with text rendered in Illustrator. 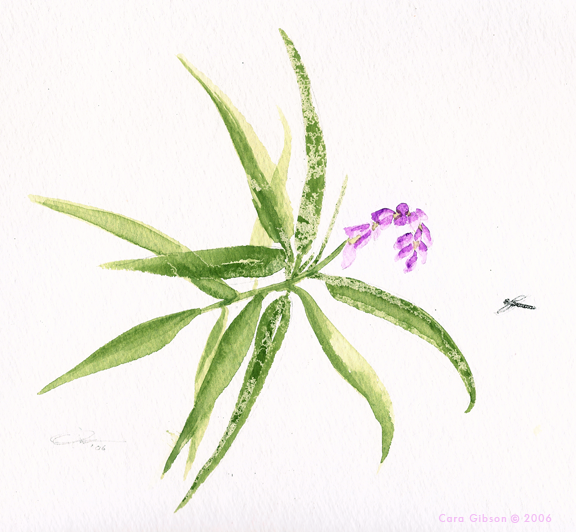 Sage and hover fly. Watercolour. /Rothschildia lebeau/ moth, Área de Conservación Guanacaste, Costa Rica. Watercolour. Parasitic flatworm heads. Pen & Ink. Marques, FPL & DR Brooks. 2003. Journal Parasitol. 89(5): 994 - 1017. Undescribed membracid species, Tiputini, Ecuador. Graphite on bond paper. 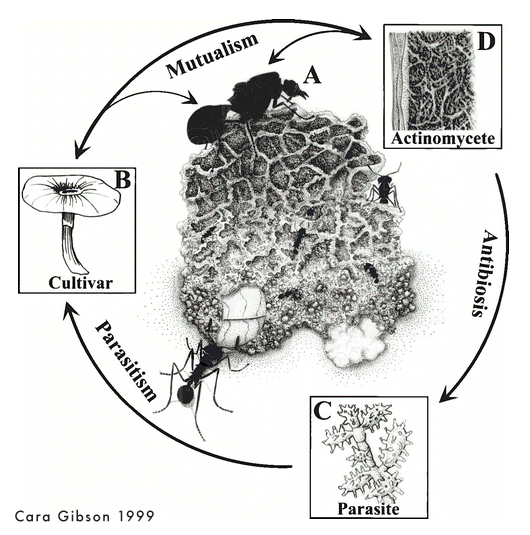 Multi-partner symbiosis of leafcutter ants. Pen & Ink. Appears in Aylward, FO et al. 2013. 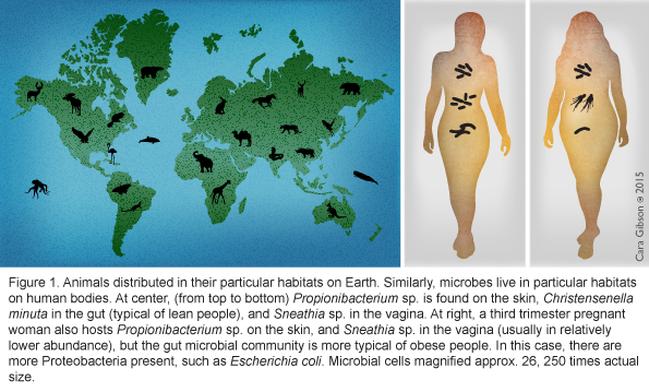 Appl Environ Microbiol (79)12: 3770-8. 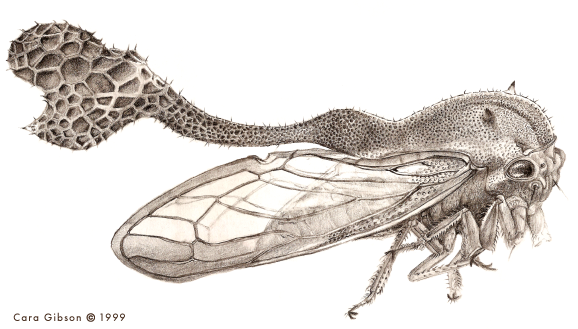 Fig 1; Hölldobler, B & EO Wilson. 2010. The Leafcutter Ants: Civilization by Instinct. Fig 7; Currie, CR. 2001. 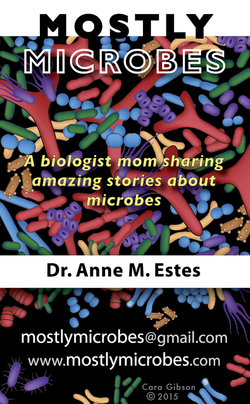 Ann Rev of Microbiol. 55:357-80. Fig 3.